An easy to make tiffin or snack sandwich for kids. Easy to make without any prior planning in minutes. Kids would love to have this; even adults too would find this sandwich a toothsome pick. You could also replace nutella with peanut butter. I have posted earlier the making of Nutella and peanut butter at home. You could check the links for the recipes. 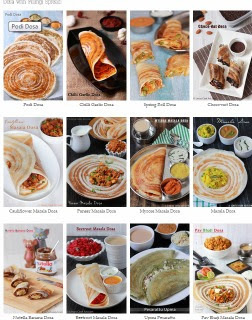 I have also posted Nutella Banana Dosa recipe earlier using this same combo. You could make grilled sandwich for crunchy outside and melting gooey inside. Apply nutella one side of four bread slices. 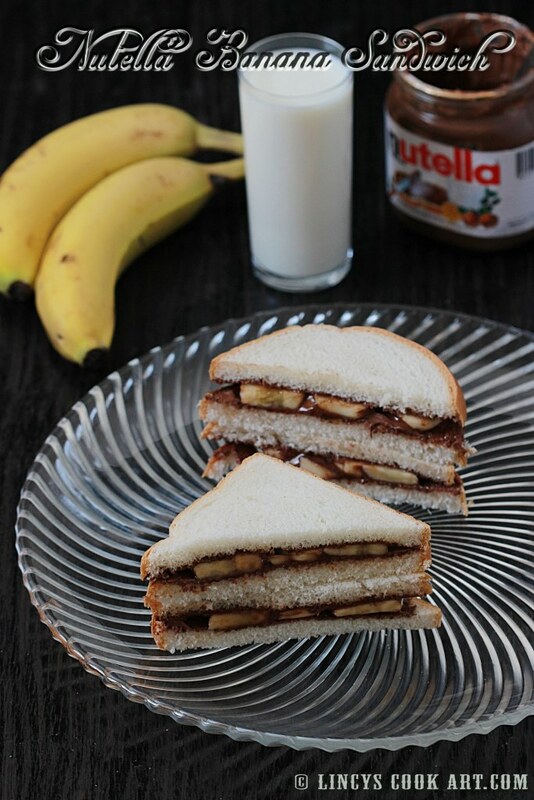 Cut the banana into roundels and arrange on top of nutella applied side of the two bread slices. Cover it with another nutella applied bread. You could grill it too for few seconds if you wish to have crunchy outside with gooey melting inside.